Our Around the World for Christmas List is shaping up beautifully! I put in all the cards in the Advent Calendar this morning and the kids, one by one, came out and asked me when we were going to start opening the cards. lol! Each and every day has an activity or a craft and I shared as many links as I could just in case you wanted to join along! I have chosen a treat, a tradition, a craft, a recipe, and a few stories for each country/culture to focus on each day and I will share our most loved ones as we go along. This has been a labor of love, but I have to tell you that I am more excited about it than the kids are! 15. 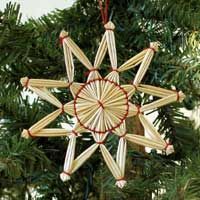 (Philippines) Make Christmas Stars out of whatever we can (sticks, straw, beads and wire... all kinds. 20. (USA) *Happy Hanukkah! * Dreidel for Chocolate coins and Challah bread. Hanukkah coloring sheet. I will send you the table I made with a treat, tradition, craft, story list, and recipe for each country if you would like. I spent so much time on it I would love for others to get something out of it! Just drop me a comment or an email. And now I am going to bed with this sweet young man. Have a beautiful night! Yeah! After observing your Advent festivities for 3 years now, I'm so excited to finally start my own. I'm finishing my calendar today...Lord willing, and have a shopping trip tomorrow for activity supplies. I'm so excited about this Val! thanks for inspiring me to start some amazing traditions in my family! Frannie - You are amazing! I love that you feel inspired by me but just hearing the little tidbits I do from comments I have to say you inspire me too! I hope you have a beautiful week and a start to your advent traditions... and if you would email me BlueRoseMama @ hotmail .com that would be awesome. :) I'd love to chat about recent questions you have had. Love Love this idea! I love the memories you are making with your family! I would love to see the table you made to go with this idea! A newbie who will be back! (I couldn't find your email address)! I'm not familiar with blogs so I may have missed where your email was located. I can't even remember how I stumbled upon your blog but I'm happy I did. Anyhow, I loved your world advent and would be honored if you wouldn't mind sharing your table/outline with my family. Thank you. This was a really great idea! If you still have your chart, I would love a copy! I would love to get any of your info that you may still have on this Christmas Around the World Advent chart you made- you have lots of crafts, recipes and such that you mentioned... do you still have these and can you share with me? What is your e-mail and I will e-mail you so you can share it through there?